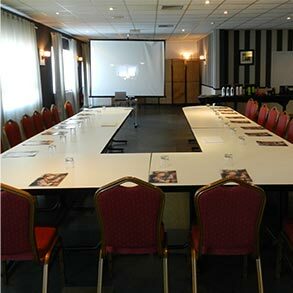 The Lensotel hotel and restaurant offers you a warm welcome whenever you come to stay here in our lovely city of Lens. 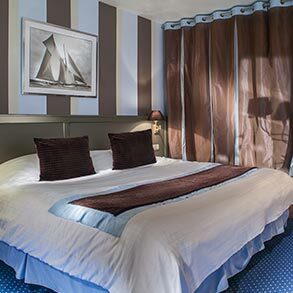 You'll love your stay at this charming hotel a few kilometres from the city of Lille whether you come during the week or at the weekend. A cultural weekend with the children? A business seminar to organise? If you are looking for somewhere that is refined, elegant and a little bit different, don't waste any more time, let us arrange a relaxing stay for you. Immerse yourself in a friendly and personal atmosphere, and choose your room according to your needs. Visiting the city of Lens is also about discovering the full range of our cultural riches: whether they are sporting, gastronomic, artistic or historical, join us and enjoy all that our city has to offer! restaurant - Bar Come and enjoy the many and varied dishes offered by Lensotel's restaurant. Sit down and relax for a while. The menus have been selected with the greatest care and are in total harmony with the rhythm of the seasons. 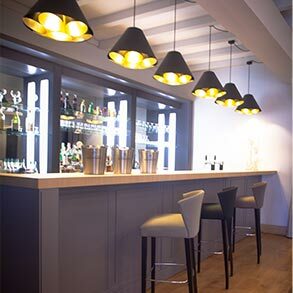 And if you wish, you can always take a moment to relax in our chic, yet cosy bar! Hotel Rooms In an elegant and refined setting, LENSOTEL offers its guests 70 rooms equipped with full bathrooms, separate toilets, flat screen TVs, wifi with free internet access, some with mini-bar and all decorated in a trendy blend of colour, warmth and crisp sophistication. On the ground floor, you have direct access to the enclosed garden and the outdoor swimming pool. Seminars Lensotel provides professionals and businesspeople with a range of spaces that are equipped to accommodate your company events. Conferences, seminars or study days?